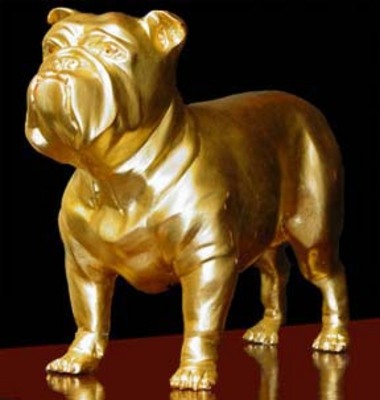 "Class of 1999 Gift -- Golden Bulldog"
Archway Commencement Issue, 1999, Page 18, "Class Gift"
Life size replica of a bulldog with a golden finish. This physical representation of the school's mascot is a permanent reminder of the spirit and drive of the Class of 1999. This piece is currently housed in the bulldog room of the Elizabeth and Malcolm Chace Wellness and Athletic Center (2007).